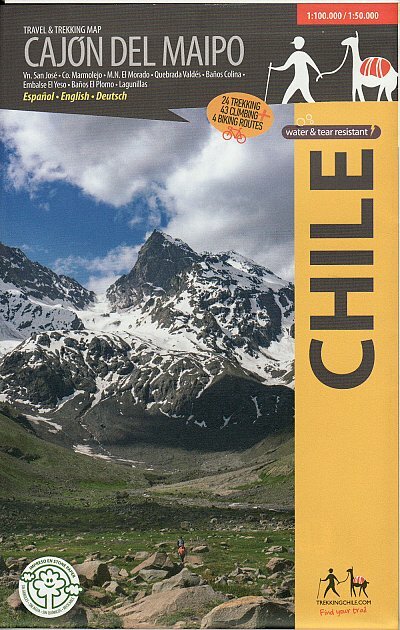 1:125,000 travel and trekking map covering the upper Maipo valley southeast of Santiago including Vn. San Jose, Co. Marmoleojo, Langunillas and Banos Colina. Including a full English key sheet and some basic route ideas and descriptions.